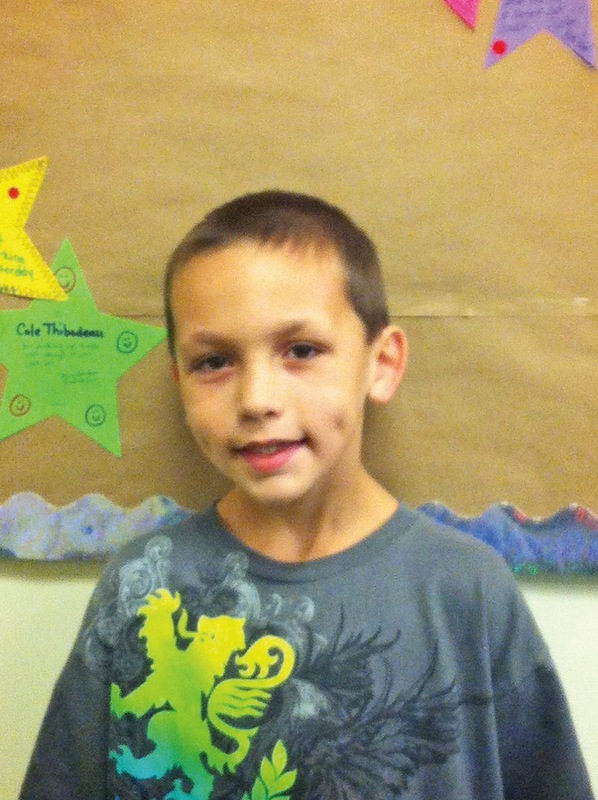 Seven-year-old Hayden Baker from Raymond Elementary School is The Windham Eagle student of the week. Hayden is in second grade in Mrs. Pennington’s class. His favorite subject is physical education. The staff and teachers at RES have this to say about Hayden. 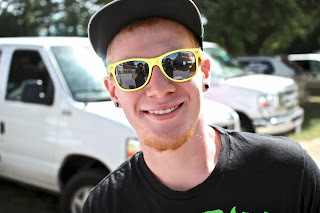 “Hayden is always helping other students and staff. He just recently helped his classmates when they needed help on the computer and then got right back to work! He holds the door in the morning for all the students that come in off the bus and he helps on the playground by collecting all the balls and jump ropes everyday and putting them away in the equipment shed. Hayden lives with his mom Lynn Lyons, sister Brianna Baker and brother Trey Turcotte. He also has a cat named Tigger and a dog named Hammer. His hobbies include biking, basketball, soccer, baseball and being outdoors or playing video games. If I wasn’t studying, I would be riding my bike. Fall is here! The trees changed practically overnight to their fall colors. In the autumn garden, there are several trees and shrubs that turn shades of deep burgundy and purple, adding a velvety accent to the landscape. Mixing these purple-foliaged shrubs in with those that turn yellow can create a dramatic display before the leaves drop. The dwarf lilac ‘Miss Kim’ (Syringa chinensis) is a beautiful shrub in the late spring, covered with fragrant lavender flowers, beloved by bees, early hummingbirds, and butterflies. It then fades into the background during the summer, a dark green shrub, allowing perennials to shine. In autumn, however, the show rivals that of the spring bloom. The foliage turns a deep shade of purple to burgundy red, persisting well into October, providing a unique and emphasizing backdrop for fall blooming sedums and grasses. Forsythia is another spring blooming shrub that is often overlooked in the fall. Bright yellow flowers give way to medium green leaves, which then turn shades of yellow or purple in the fall, depending on the variety. One of the best varieties for purple foliage is ‘Lynnwood Gold’, followed closely by ‘New Hampshire Gold’, and ‘Sunrise’. These varieties are also exceptionally hardy, ensuring beautiful blooms in spring, and always nice foliage through the rest of the year. Not to be left out, evergreens often will change color in the fall as well. ‘PJM’ and other little-leaf Rhododendrons often turn purple to burgundy as the weather turns cool, and keep this color all through winter. Purple in the garden, especially in the fall, is a very dramatic color. Be careful not to use too much of it, but in the right spot, a spot of deep foliage will be just the thing to draw the eye to a corner of the landscape. Genevieve Coombs is a horticulturist and manager at Roosevelt Trail Garden Center in Windham. Wednesday, September 18, 38 members of the Windham Chamber Singers travelled to Fenway Park to perform the National Anthem in front of 40,000 fans at a Red Sox game. “It was incredible and surreal,” said Dr. Richard Nickerson, director of the Windham Chamber Singers, an elite choral group from Windham High School. “We did a sound check at 2 in the afternoon. We had the park to ourselves. When the kids first sang and heard the echo…it was a goosebump moment,” Nickerson said, who described his own reaction to being at Fenway to that of a 9-year-old boy when he grabbed a fistful of dirt and put it in his pocket. 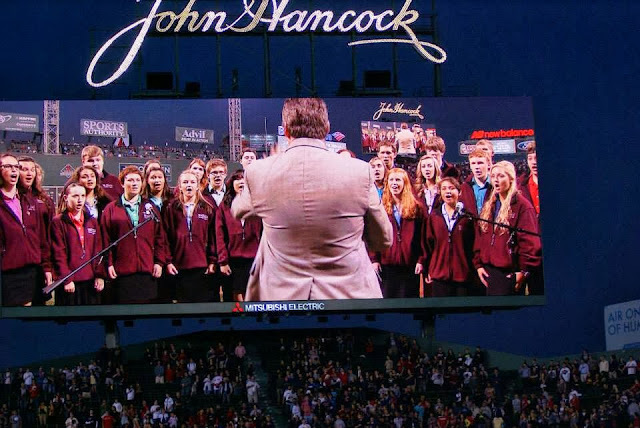 Twenty-two of the singers had never been to Fenway Park before. “It was a once in a lifetime experience,” he said. The chamber singers were contacted after they sent in an audition tape to the Red Sox organization. Friday the Windham Chamber Singers sang at the inauguration of the new Saint Joseph’s College president and they soon will be hosting the American Family Holiday concert. Justice Wright, 17, attends the REAL School, which is part of RSU 14 and is located on Mackworth Island in Falmouth. He is The Windham Eagle student of the week. Wright is a senior and his favorite subject is math. His parents are Patti and Charlie Wright. Justice was nominated by the REAL School’s Page Nichols. Education is important so that I can live a successful life. If you don’t have health insurance or you have a high deductible plan that will only cover you for a catastrophic illness you will soon be able to sign up for good coverage that begins on January 1, 2014. The Marketplace for Maine opens October 1st. You can sign up online by going to www.healthcare.gov. If you don’t have access to a computer, prefer to sign up by phone or need help with the online application, you can call a telephone helpline 24 hours a day, every day. The number is 1-800-318-2596. The website and the telephone helpline also provide information about the various plans available in Maine, what they will cost you and whether or not you qualify for a subsidy to pay for it. Once you start the application process you will be given your own ID/application number so if you need to gather additional information such as income, you can start the process and return to complete it later. There will be other resources that can help you if you need it. There will be navigators, certified application counselors, insurance brokers and, in some instances, your local library. For a list of resources based in Maine you will be able to look at www.enroll207.com. New benefits! We have already experienced some of the benefits of the Affordable Care Act such as parents being able to keep their children on their health insurance plan up to age 26. Starting January 1st other important provisions of the law begin. No one can be denied coverage because of pre-existing conditions. No one can lose their insurance because they become sick. Your rate can not go up because you get sick. If you or someone you know is not covered please encourage them to sign up. Young people who are healthy often feel they don’t need insurance. However, they can have an accident or an unexpected illness which can bankrupt them and ruin their credit. The leading cause of personal bankruptcy in the U.S. is an unexpected illness for a person without health insurance. Maine Area Agencies on Aging for questions about Medicare Part D prescription drugs and the Medicare Savings Program: Call 1-877-353-3771. Finally, for those of you who want to help get everyone in Maine health insurance coverage you can join the efforts through Cover Maine Now at www.covermainenow.com. Maine is one of the states that has not accepted the offer of the federal government to pay 100 percent of the costs to expand our Medicaid program to cover almost 70,000 Maine people making between $11,000/year and $15,000/year (individual). Covering everyone saves money and saves lives. Feel free to contact me with any comments or questions at jane.p.pringle@gmail.com or 207-892-8266.